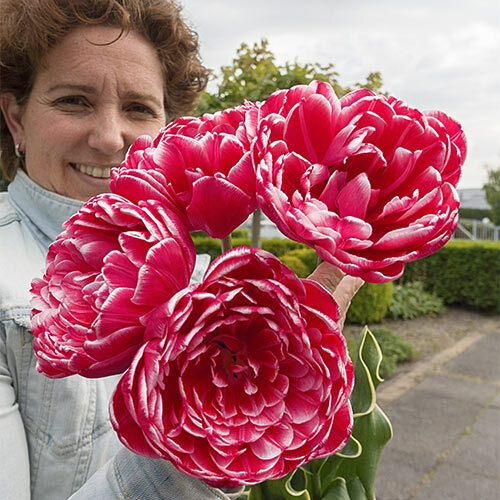 These huge double tulips were bred to be admired! Full, lush and filled with petals, each bloom is reminiscent of a luxuriant peony. Flowers are large—6-6½" across— with vibrant red petals edged in pure white for a dramatic contrast. Ideal for adding color and style to borders and cutting gardens. Plant with white varieties for more flair!